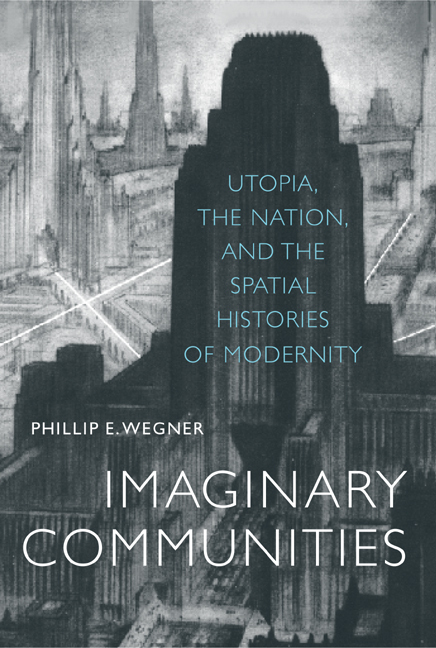 Drawing from literary history, social theory, and political critique, this far-reaching study explores the utopian narrative as a medium for understanding the social space of the modern nation-state. Considering the narrative utopia from its earliest manifestation in Thomas More's sixteenth-century work Utopia to some of the most influential utopias of the late nineteenth and twentieth centuries, this book is an astute study of a literary genre as well as a nuanced dialectical meditation on the history of utopian thinking as a quintessential history of modernity. As he unravels the dialectics at work in the utopian narrative, Wegner gives an ambitious synthetic discussion of theories of modernity, considering and evaluating the ideas of writers such as Ernst Bloch, Louis Marin, Gilles Deleuze, Walter Benjamin, Martin Heidegger, Henri Lefebvre, Paul de Man, Karl Mannheim, Mikhail Bakhtin, Jürgen Habermas, Slavoj Zizek, and Homi Bhabha. Phillip E. Wegner is Associate Professor of English at the University of Florida. "The Associations of Our Active Lifetime"
4. The Occluded Future: Red Star and The Iron Heel as "Critical Utopias"
Orwell and Mannheim: Nineteen Eighty-Four as "Conservative Utopia"
Modernization against Modernity: The Culture Industry and "Secondary Orality"